Active AIS transciever installed and integrated into plotter display. This is a well cared for and much loved yacht. She is ready to cast off and sail away at a moments notice. Recently the vendor has invested heavilly in the boat. She has a Raymarine touchscreen plotter with integrated AIS display. This device can be viewed and controlled via an iPhone and iPad Raymarine app and Bluetooth connection. Incidentally the yacht has an electric autopilot AND a latest generation Raymarine hydraulically powered autopilot. My favourite part of this boat is the pilothouse internal helm from which the vessel can be navigated in dry comfort! This yacht is equipped with additional fuel and water tanks to enable long term offshore cruising. This vessel is one of the best value boats that Boatshed Gibraltar currently has listed. 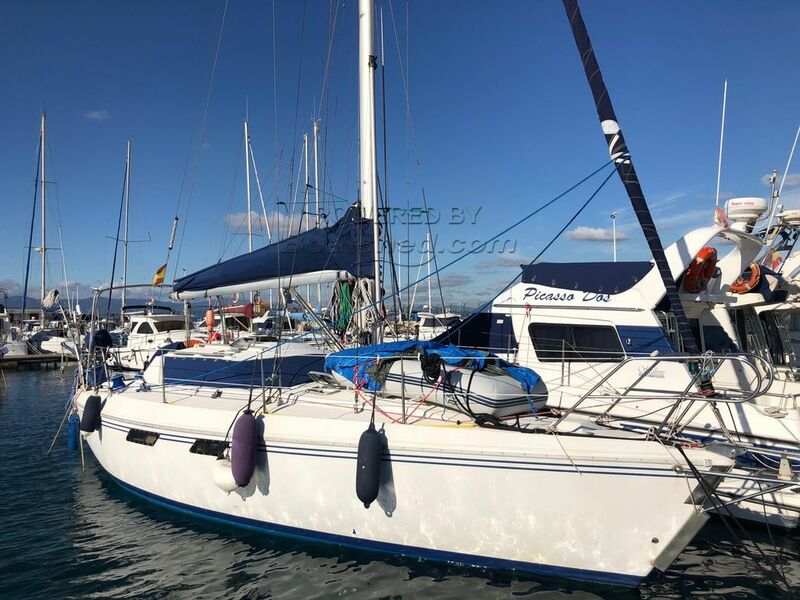 It's ideal for a solo sailor or a couple. This Jeanneau Espace 990 DS has been personally photographed and viewed by John & Lynda of Boatshed Gibraltar. Click here for contact details.